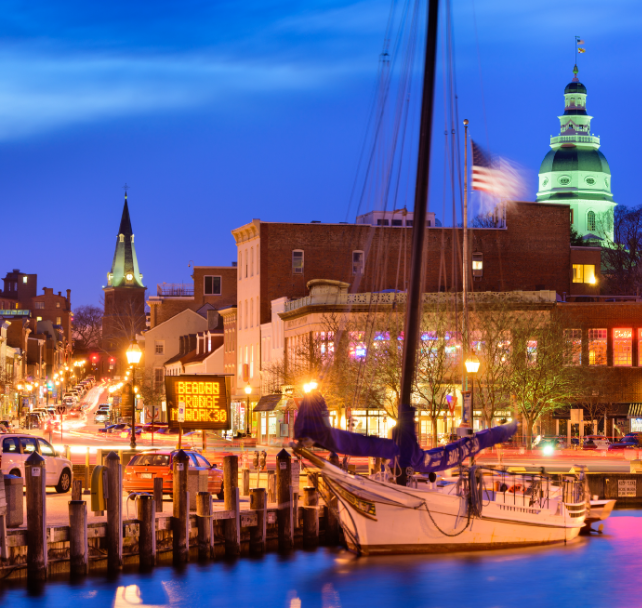 Annapolis is a beautifully preserved historic city, and the place where Great Britain officially recognized the independence of the United States in the Treaty of Paris. Annapolis is also home to the U.S. Naval Academy, where INSIGHT 2019 attendees will have the privilege to have dinner together on April 11, 2019. The Annapolis Waterfront Hotel is located in the heart of the city, right in front of the port, with all of the city's many attractions within walking distance. You can also call (800) 393-0047 and mention you are part of the INSIGHT 2019 group. By Plane: We recommend flying to BWI Airport and taking an Shared Ride or Taxi to the hotel (about 30 minutes). By Train: We recommend traveling to Penn Station in Baltimore and using a taxi or shared ride service to get to the hotel (about 45 minutes). By Car: The hotel offers overnight valet parking for $29 per night. US Naval Academy Officer Club - "A Military Tradition for a 100 Years"
The Naval Academy Club is located on the grounds of the U.S. Naval Academy and combines military history and prestige with fine dining and customer service. 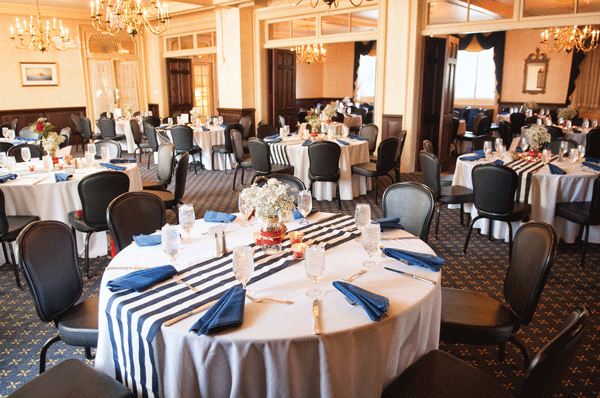 The Naval Academy Club provides a place where members and their families, friends and associates can enjoy relaxed dining in an ambiance unlike anywhere in Annapolis.